Delivering projects on or around the live operational railway requires an absolute respect for the unique environment that is presented. 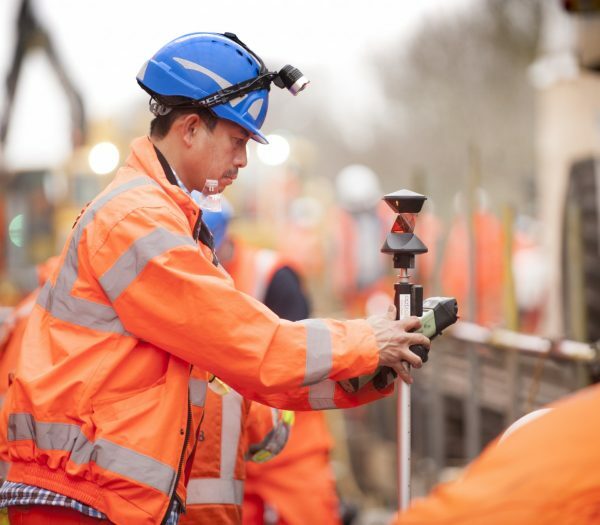 This respect is never more evident than in our multi-disciplinary teams that will work openly in collaboration with you to deliver complex track infrastructure works. These may be a planned project, emergency works or part of a parent project (such as a platform extension or deck replacement). Our approach is to engage with you fully to achieve clear, timely and transparent objectives. 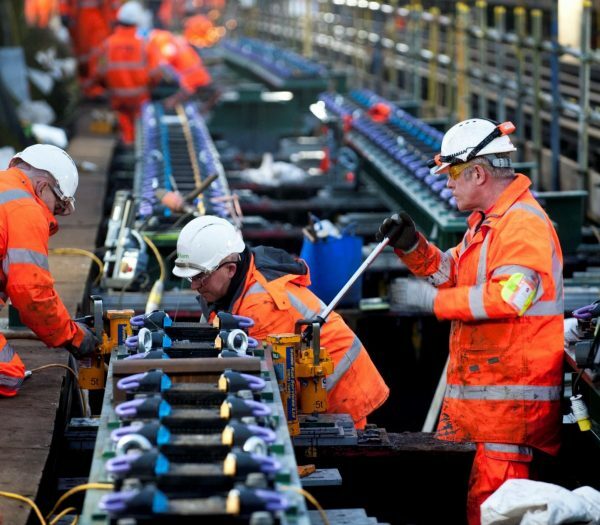 Our experience includes the design and installation of under-track crossings, troughs, ballast boards, cabinet base structures, equipment buildings, track realignment and installation, new and relocated signals, overhead line and line side civil engineering works for embankments and drainage. Innovative methods and managing stakeholder relationships are essential to mitigate risk on earthwork solutions. 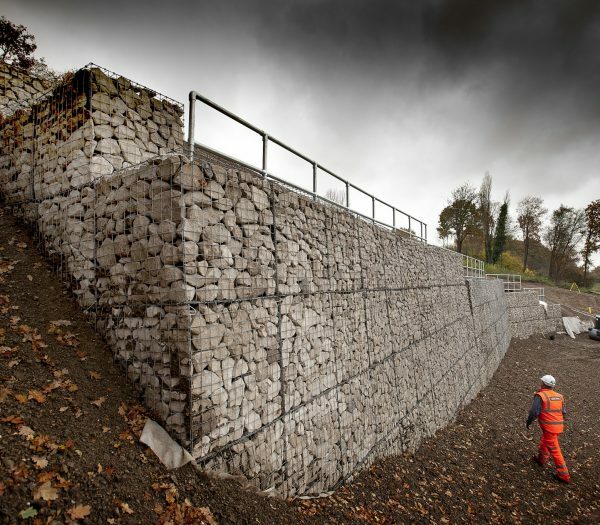 These are often in remote locations and range from simple retaining structures and soil nailing, to complex grade separated junctions, embankment reconstructions and slope stabilisation. Whether it’s a planned or reactive response to embankment failure our design and delivery team responds quickly and professionally. Our dedicated Reactive and Planned Maintenance Services teams are on call 24/7 365 days a year and agreed protocols allow rapid assessment and implementation of temporary solutions. To limit impact on the operational railway, our permanent designs can be undertaken in conjunction with temporary measures. 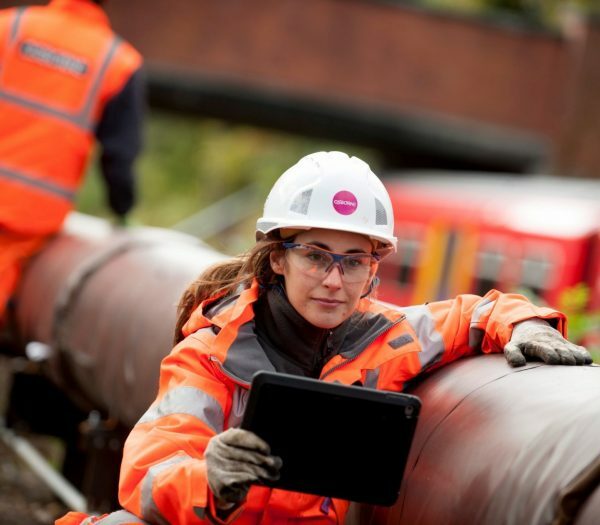 Through this close Network Rail collaboration, the team can meet the demands of the train operators and safeguard reputations. Effective, efficient drainage keeps the railway fully operational during periods of heavy rainfall. Understanding the existing drainage collection system and identifying the root cause of flooding is central to developing a design to collect, store, convey and discharge stormwater to reduce rail operational impacts. Our design team always consider the latest available technology and modern methods of construction to develop a system that is safe to install, maintain and operate. Installation planning and phasing is developed to further reduce rail operational impacts. Solutions range from complex schemes such as the £3.8m Fullwell Drainage scheme to simple lineside drainage at Hedge End. Safety and the needs of rail passengers are always paramount. Early consultation with specialist providers reduces risk when designing, planning and installing new supplies, extending existing supplies, and undertaking power upgrades. When carrying out Electric Track Equipment (ETE) and Electrical Track Maintenance (ETM) works, our specialist supply partners collaborate to develop the design and efficiently install plant. Maintaining safe operation of the railway and keeping passengers moving is always at the forefront of design, planning and delivery. Substation testing and commissioning are particularly important with power upgrades. Ensuring wheels are free from the tracks, sometimes over considerable distances, can be challenging. On the Reading 10 Car scheme we upgraded 6 substations as part of the wider platform extensions for the new 10 car trains. Our in-house possession planners proactively liaise with all parties to gain the necessary possession distances and our team micro manage every possession to ensure we hand back on time. Lifting and replacement of track is an essential element when delivering bridge replacements and platform extensions. The Reading 10 car scheme to extend platforms at 9 stations between London Waterloo and Reading required the relocation or shortening of the conductor rail. 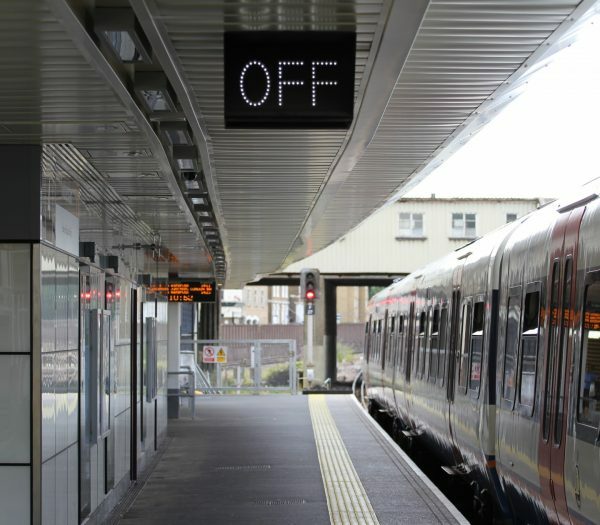 Replacing and relocating signalling is an operationally critical activity. It carries the risk of disruption to services. Design and implementation are complex so early engagement with specialists is important to effectively reduce risk. Cable correlation is an essential first step and can be hindered by degradation. An early survey by specialists reduces the risk and enables development of the design. This, in turn, increases surety of the delivery programme.